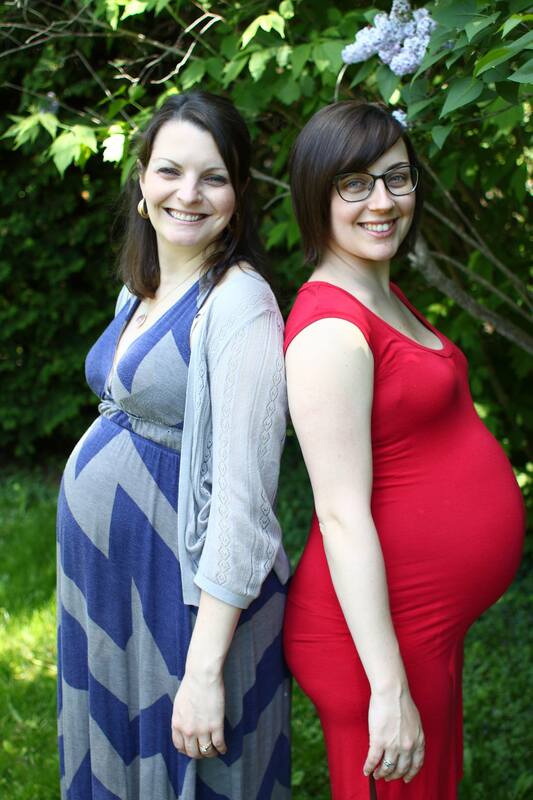 We are Shannon and Lindsay – two sisters who became first-time mothers within a month of each other in 2014. Very quickly we realized two things: 1. There is a great deal of truth to the old adage “it takes a village to raise a child,” and 2. There is far too much space taken up by the so-called Mommy Wars, and not nearly enough devoted to supporting mothers in all their diversity. Our conversations with other moms confirmed that we were not alone in these feelings. We mamas needed a “village” of our own. We need a place to speak honestly about our challenges and doubts, fears and successes, without worrying about how we will be judged. We need a place to be seen as the multifaceted women we are, in and outside of motherhood. To emphasize the participation of our own village in the building of this site through opportunities for input, discussion and guest posts. I want this space because becoming a Mom expanded who I am and didn’t narrow it, because I struggle with trying to be Superwoman and I’m not always very good at embracing help when it’s offered, and because I have always loved taking creative adventures with my little sister. I live in Ottawa, Ontario with my lovely husband Randy, our beautiful sons Lucas and Jacob, and feline buddies Sully and Maybee. I spend my working hours at the Canadian Parliament and my playing hours with my family, friends, and an ever-growing list of books to read, wines to try, and things to knit. I want this space because I’m in favour of honesty over image and compassion over judgment. I want a place for thoughtful ideas whose speakers keep their minds open to the ideas of others. I want a space free of the judgment, competition, and glossy-falseness that seem rampant in mommy-blog-world. A place where we can celebrate our strengths, laugh through the little trials, and find comfort through the big ones. Where it’s okay to admit that you sometimes just want a break from your kid while other times you want to do nothing but be with them forever, and neither option makes you a bad or good mother. A space where we as women (who happen to be moms) can offer each other support and solidarity, give each other the benefit of the doubt that we’re all doing our best, and learn from our shared and different experiences. I’m the mama of two sweet little boys, Arlo and Remi; partner to the wonderful John; and human companion to felines Kicsi and Koschka. I work at a university helping undergrad students overcome their hurdles. Away from the office, my favourite things include yoga, reading, and having friends over for a cup of tea or a game night – the welcome mat is always out! Hi ladies, you should add a “follow” button to your blog so it’s easier for readings to stay connected.